As a young, female movie producer working in Hollywood in the 1980s, Gale Anne Hurd struggled for her talents to be recognized by her male peers. Although she'd already produced and co-wrote her first feature film, "The Terminator," which was a blockbuster hit, some potential employers accused her of receiving credit for work she hadn't done. Now a bonafide hotshot in the business, having produced "Aliens," "The Walking Dead" and receiving a star on the Hollywood walk of Fame, Hurd is a role model for women struggling to make it in the male-dominated industry that many believe is becoming more progressive as the #MeToo movement gains momentum. 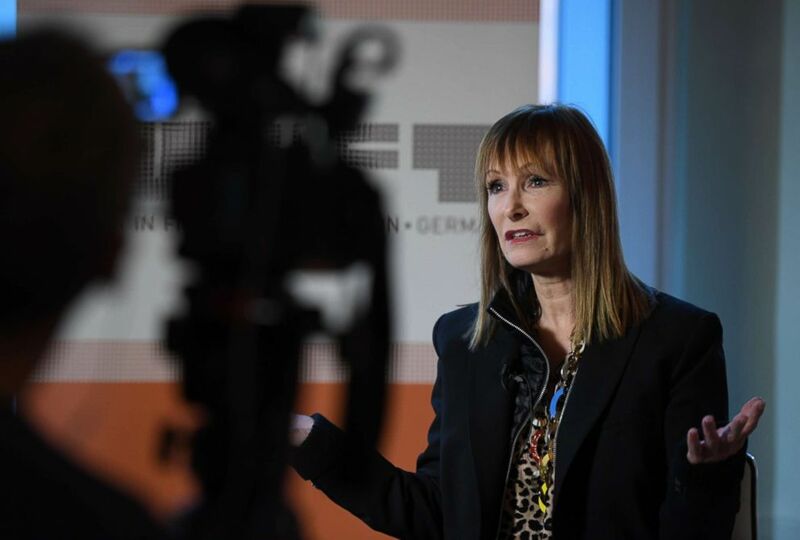 Gale Anne Hurd gestures during an interview with Reuters in Berlin, Feb. 9, 2019. 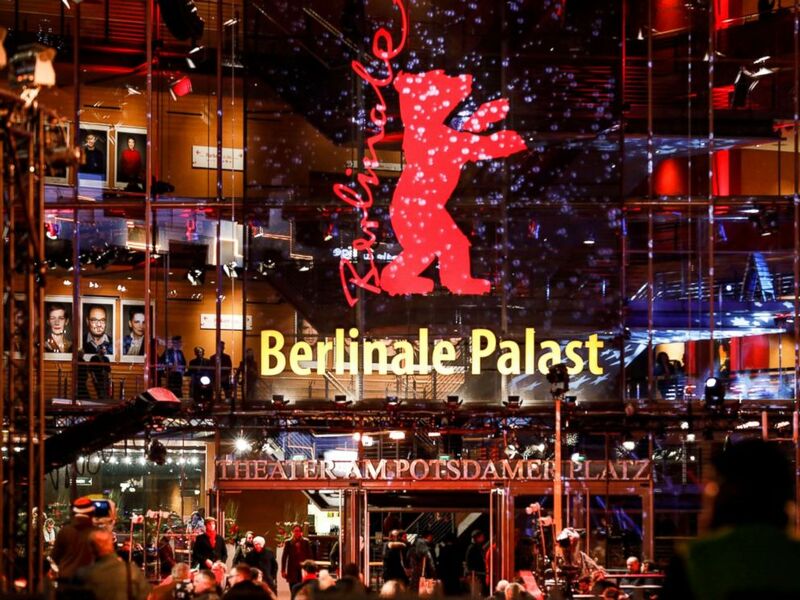 Berlinale Palace entrance during during the 69th annual Berlin Film Festival, Feb. 8, 2019.